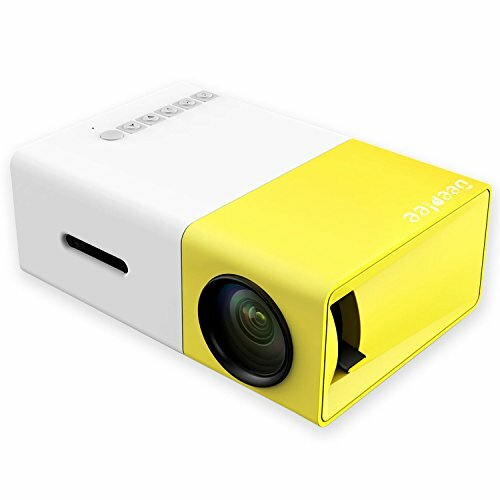 SMALLEST MINI LED PROJECTOR FOR VIDEO GAME, MOVIE NIGHT IN YOUR BEDROOM, BIG SCREEN HOME THEATER! Or you can buy a Wireless HDMI Dongle to mirror your phone. - USB input port is only for flash drive and hard drive! - DeepLee DP300 is NOT RECOMMENDED for PPT or business presentation, need use in DARK environment. - Our product package is not included any powerbanks. This model is NOT a built-in battery version. - Image file: Support Common format like JPEG, BMP, PNG and so on.